Inflation is tantamount to taxation without representation - so said Milton Friedman, and he was right. The state owns the currency; so any decision to allow the internal value of the pound and thus its purchasing power to decline is a tax on people’s assets. Yet it is a levy that is pushed through by stealth; it is hard to work out exactly who gains and who loses, and especially not in advance. When the Chancellor delivers a Budget or Autumn Statement, the decisions are analysed in minute detail and the distributional impact assessed to the point of boredom. Not so with inflation. The fact that those with large debts are in effect given a handout by savers and those on fixed incomes is rarely discussed. Prices have risen by 28.2pc since 2005, according to the consumer price index. So a £20 note that fell down the back of a sofa 10 years ago would now be worth just £15.60. A tax of £4.40 has been levied without any real accountability. Of course, the public can protect itself at least in part against expected inflation - companies push up prices, individuals get pay rises, interest rates often contain an inflation risk premium and the value of many assets tends to go up in real terms. 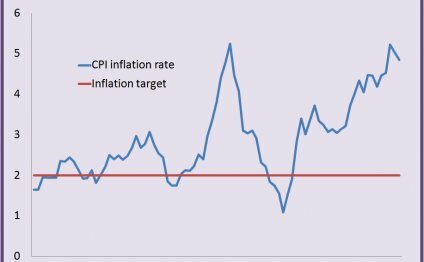 But the Government was nevertheless almost right when it said on Tuesday that the collapse in inflation - down to 0.5pc on the consumer price index - is equivalent to a tax cut. In fact, it is equivalent to a much smaller tax hike - the value of the money in our pocket is falling far less quickly, but it is still falling. Does that mean that inflation should be zero, or that we should actually want prices to fall as much and as quickly as possible? Perhaps paradoxically, the answer is no. Some forms of deflation are good but others are very bad for the overall economy; and while much of the inflation we have seen in recent years and decades has been of the malign variety, increases in the overall price level can actually be benign and even necessary in certain circumstances. Deflation is good when it is caused by improvements to technology and productivity that push down average prices: computers are much cheaper than they used to be, for example. Declines in the price of food and energy of the sort we are seeing today also fall into that category. The present bout of disinflation is a good thing not just for consumers but also for the overall economy. But deflation is bad when overall prices are pushed down because of insufficient demand. A collapse in jobs, investment and consumption that triggers a decline in the overall price level would usually turn a recession into a depression. One of the great lessons of the 1930s was that this should not be allowed to happen. As Friedman himself argued forcefully, the money supply should never be able to shrink, and lower interest rates and even quantitative easing should be used to prevent this from happening. A modern interpretation of this would be to argue, as many do, that nominal GDP should never be allowed to fall; sadly, it did during the crisis of 2008-09, a time when monetary policy was insufficiently loose. The good news is that a well-established economic rule does exist which reconciles all of this. It is called the productivity norm and, in my view, is not just the ideal form of monetary policy but also the best way through which to analyse the current drop in inflation. Under the productivity norm, good deflation would be allowed - in other words, price declines caused by improvements to productivity - but also good inflation that helps cushion a reduction in said productivity - for example, inflation would be permitted in the event of the price of oil shooting back up to $120 a barrel. It is a form of nominal GDP targeting, but one which stipulates that the cash value of all the goods and services produced in the economy should rise at the expected growth rate of the factors of production - the amount of people in work and the capital required to make sure that they can operate. In practice, this would mean that nominal GDP would probably grow by around 1pc-1.5pc a year. Under present conditions, prices under the norm would probably be falling by about 1pc a year; at the height of the crisis, they would have risen by 5pc or so. As George Selgin reminds us in his masterpiece on the subject - Less Than Zero: the case for a falling price level in a growing economy, from the Institute of Economic Affairs - the policy garnered heavy mainstream support during the 19th century and until the Keynesian revolution of the 1930s. Supporters of the productivity norm included David Davidson, Evan Durbin, Francis Edgeworth, Robert Giffen, Gottfried Haberler, Ralph Hawtrey, Friedrich von Hayek, Erik Lindahl, Alfred Marshall, Karl Gunnar Myrdal, Sir Dennis Robertson and Arthur Pigou, many of the most eminent and well-respected economists of their day. That tradition is kept alive today by a growing number of economists in the US and globally, of which Selgin himself is among the most eloquent.